Pension? : Yes, widow Lovisa B. Remarks: Widow, Lovisa B. was a Civil War Nurse. 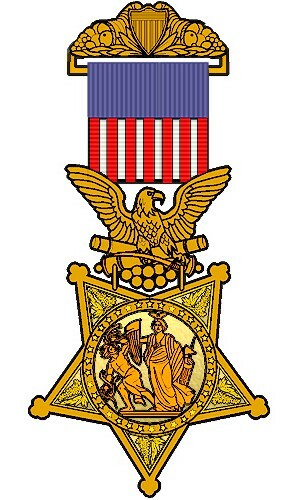 Rank and Organization: Sergeant, Co. I, 8th Vermont Infantry. Place and date: Winchester, VA, 19 Sep 1864. Born: 29 Aug 1844, Jamaica. Date of Issue: 13 Dec 1893. NARA File Number: R&P 332358. From the Eighth Regiment History:. 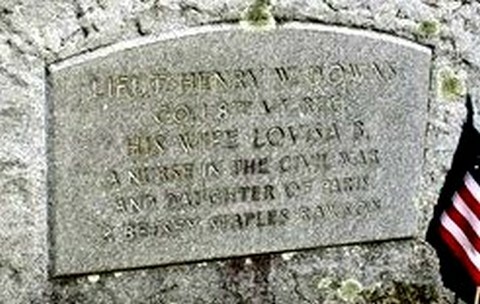 DOWNS, HENRY W., of Newton, Mass., son of Calvin and Elizabeth Downs, was born in Jamaica Aug. 29, 18.44. He was educated in the public schools of his native town and, up to the breaking out of war, was employed on his father's farm. 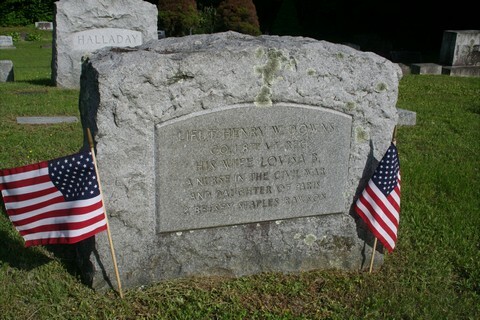 He enlisted at the age of 17 in Company I, 8th Vermont Volunteers, and immediately went to the front, serving four years, being mustered out as second lieutenant. Under Butler and Banks, in the army of the gulf, he participated in a dozen memorable engagements, -- Port Jackson, Morganzia Bend and the taking of New Orleans, -- as well as in the Red River campaign and the forty-four days' siege of Port Hudson. 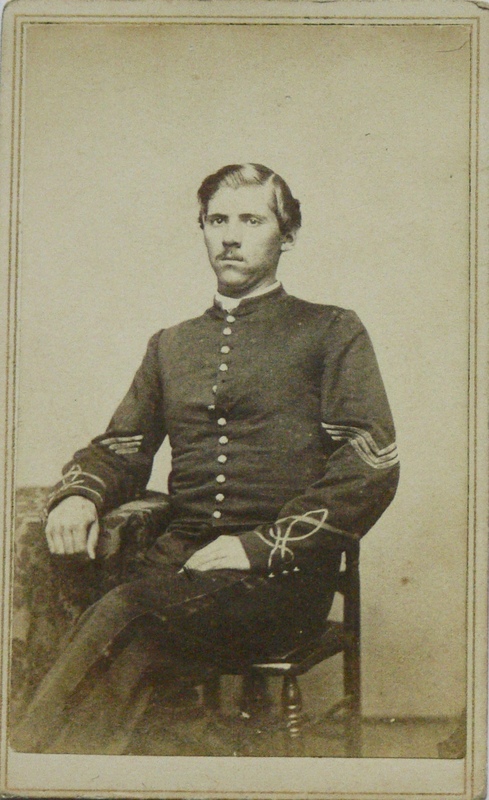 Afterward his regiment was transferred to the army of the Potomac, and under Sheridan, he took part in the Shenandoah Valley campaign, fought at Winchester, at Cedar Creek and in several other less important engagements, being promoted several times for bravery on the field. 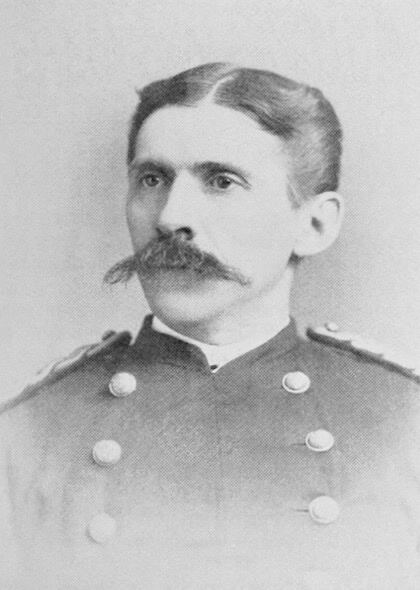 In 1891, Mr. Downs received the Congressional medal of honor awarded for conspicuous gallantry in the battle of Winchester, where he volunteered and bravely crossed the field, although exposed to a raking fire, to secure ammunition for the regiment, its supply being exhausted. 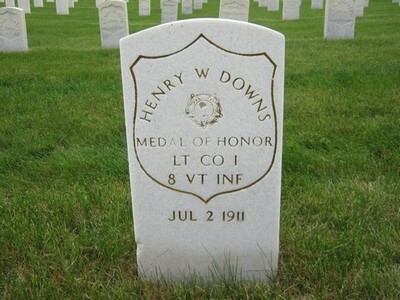 At the close of the war Mr. Downs went to Massachusetts and engaged in business as a silk manufacturer, in which he continued till 1891, when he entered the dry goods and importing business on Tremont street, Boston, where he is still located. 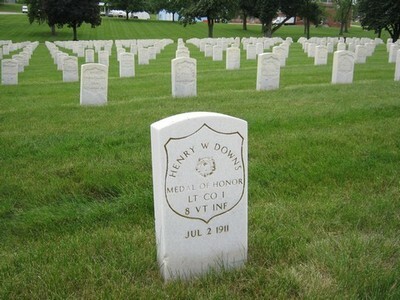 Mr. Downs is a conspicuous member of several military organizations, being a member and an ex-president of the Vermont Veterans' Association, of Boston, and is now its treasurer; he is a past commander of Post 62, G. A. R , of Newton, a member of the Loyal Legion and of the Ancient and Honorable Artillery Co., of Boston, and is assistant quartermaster general of the Massachusetts department, G. A. R. In the Massachusetts Volunteer militia, he has also served with honor in time of peace, as captain of Company C, 5th Infantry. In politics he is an ardent Republican, has served on the ward and city committees of Newton, and has been a delegate for many years to the Massachusetts State Republican conventions. He was married at Worcester, Mass., in 1867, to Lovisa B. Rawson, and their only child, Arthur W. Downs, is engaged in business with his father, under the firm name of the H. W. Downs Co.
Jacob G. Ullery, Men of Vermont: An Illustrated Biographical History of Vermonters and Sons of Vermont, (Transcript Publishing Co., Brattleboro, 1894), p. 451.